Lucy O'Brien's extensive and well-researched biography will look at Madonna the artist, giving detailed analysis of her music, complete with revealing interviews with musicians and producers. It will focus on her cultural impact and the way she uses cinema, photography, visual art, theatre and dance in her work. It will take an in-depth look at how - and, more to the point, why - Madonna has reinvented herself through her twenties, thirties, forties and will no doubt do so again in her fifties. It will also look at the wider context and include interviews with similarly crusading female artists like Tori Amos, Laurie Anderson, Jeanette Winterson and Tracey Emin. 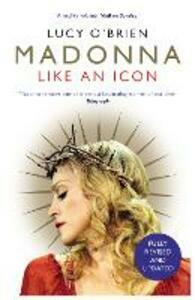 This will be, quite simply, the definitive Madonna biography.